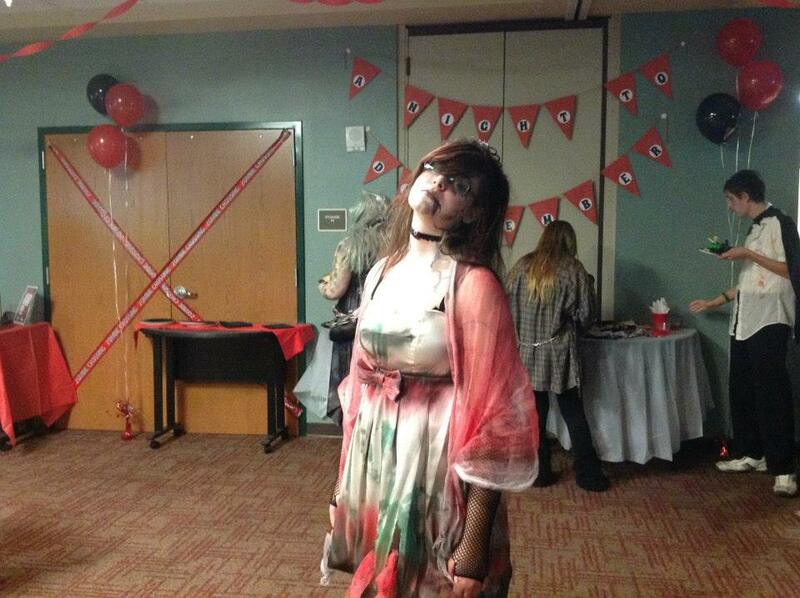 Well, we survived: Zombie Prom, that is. 🙂 Here are the highlights for all you undead aficionados. Our color scheme was red and black, so we decorated with streamers, balloons, and blood spattered banners throughout the meeting room. 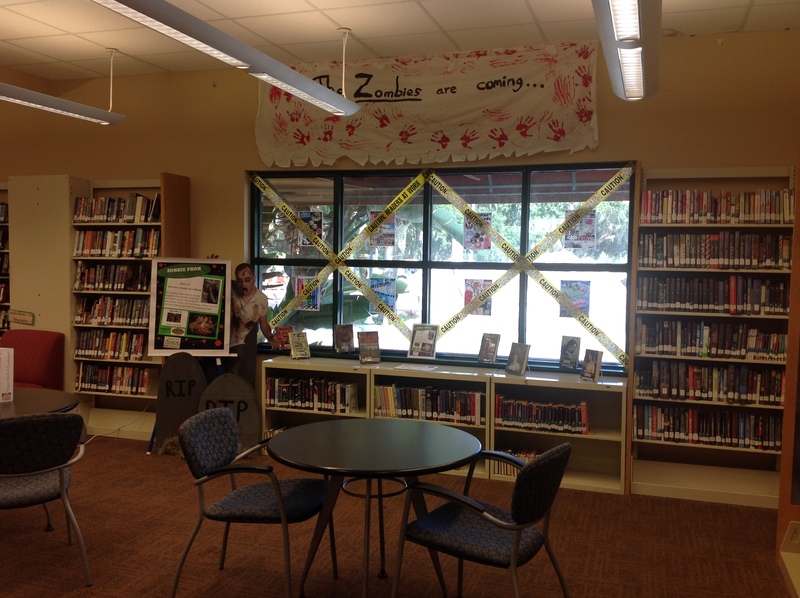 Our “A Night to Dismember” pennant banner was hung over the food table. We also created cardboard tombstones and surrounded them with severed Dollar Store limbs and moss we collected from outside. 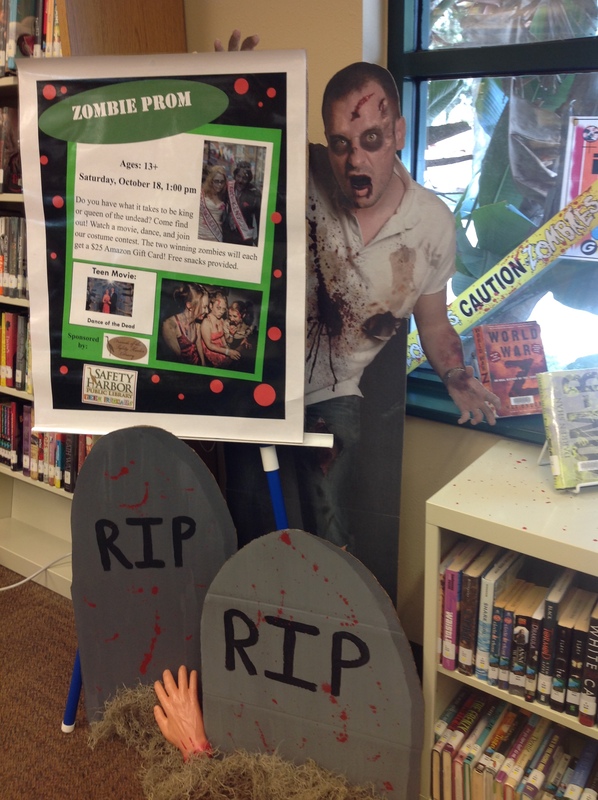 Most importantly, we also had a teen Zombie book display, featuring novels by Carrie Ryan, Darren Shan, Jonathan Maberry, and other zombie-writing authors. 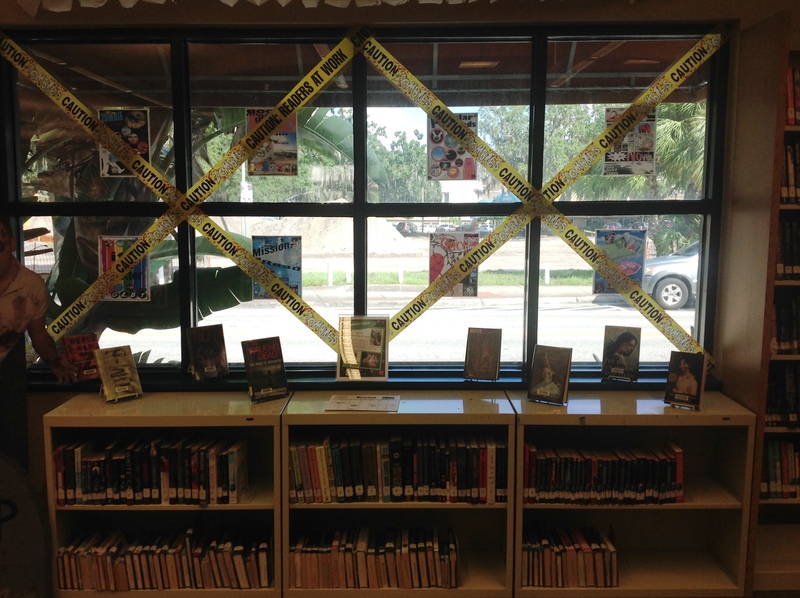 As a library, we strive to promote literacy at all of our events. We wanted to provide a spot for our guys and ghouls to commemorate their eerie evening, so we hung some velvet curtains, a “Zombie Prom” pennant banner, and arranged some extra tombstones for a freaky photo-op. For our craft this year, we decided to keep it simple. 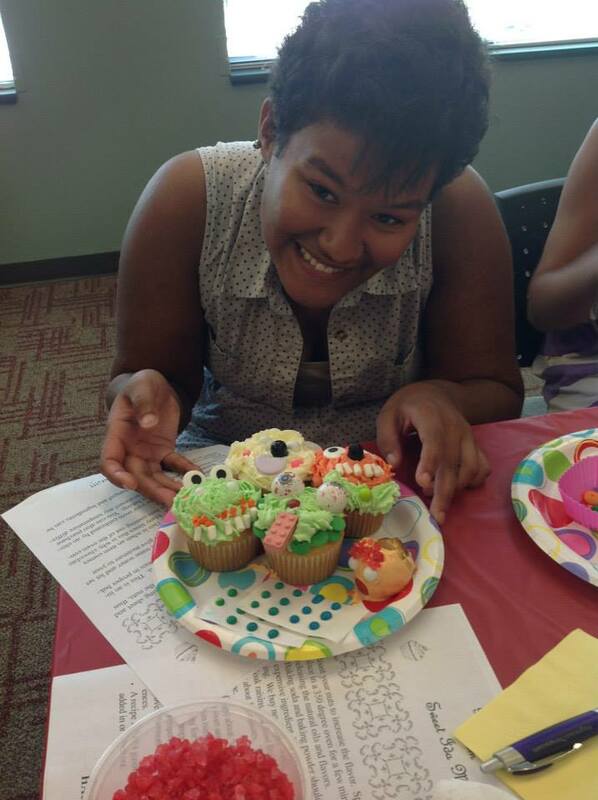 We printed out 1-inch circular zombie images and the teens got to make bottle cap necklaces and key chains. Just prior to showing Dance of the Dead, we had a costume contest. 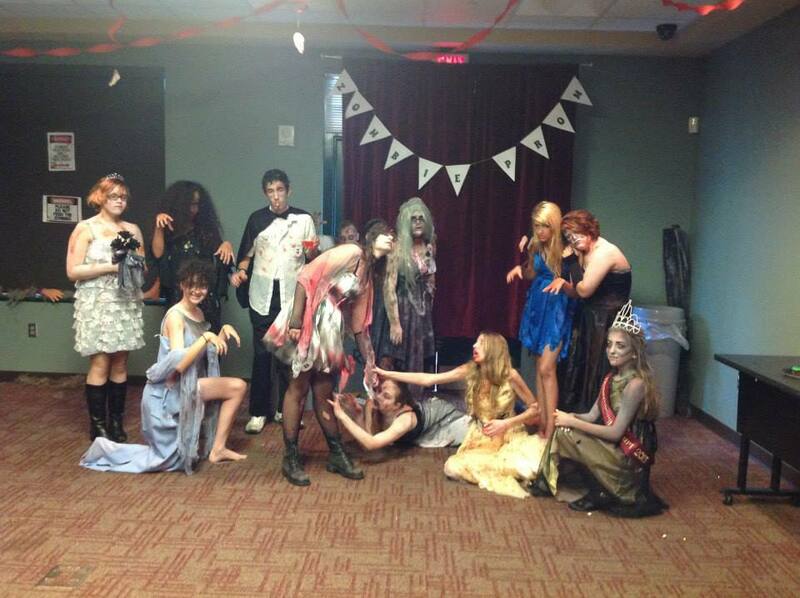 Each undead contestant strutted his or her stuff before our three judges. 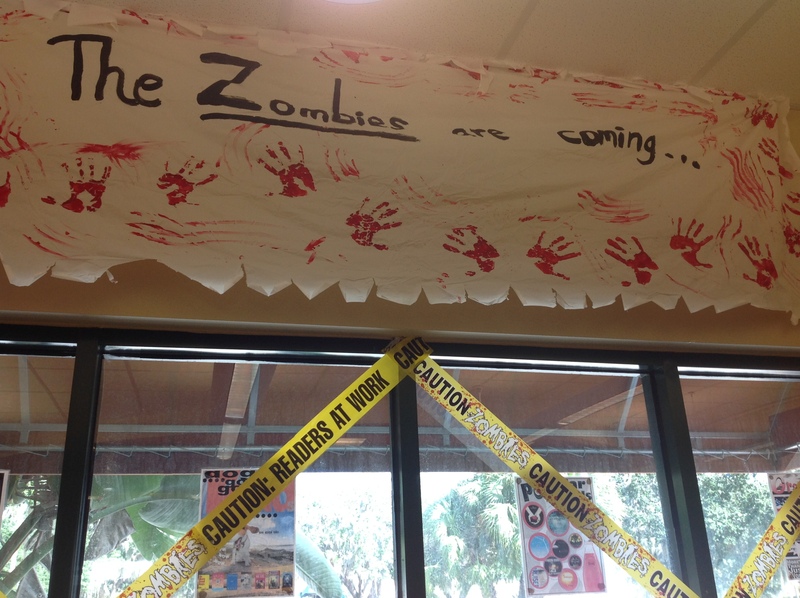 Each zombie was scored using a predesigned rubric. 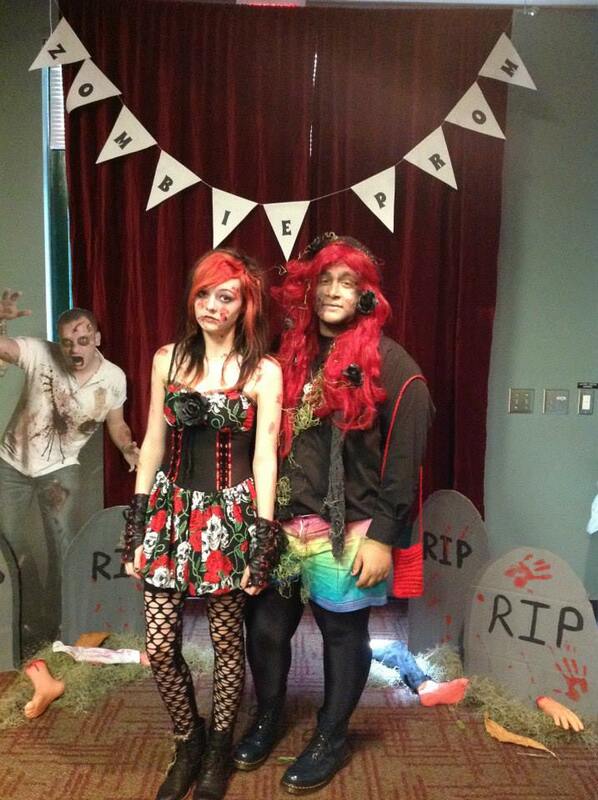 Our Zombie King and Queen each won a $25 Amazon gift card. 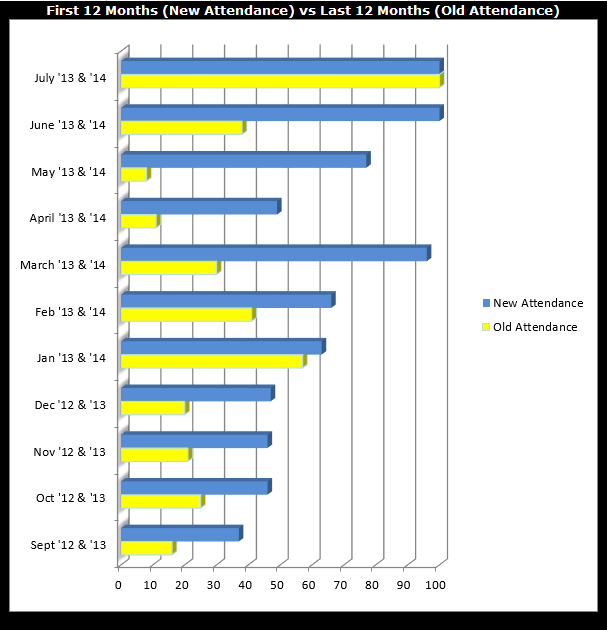 In total, we had thirty teens show up for prom this year – a whopping 67% increase over last year! 🙂 I’d say that’s bloody brilliant. Here’s to the zombies! Halloween is, undoubtedly, my favorite holiday. 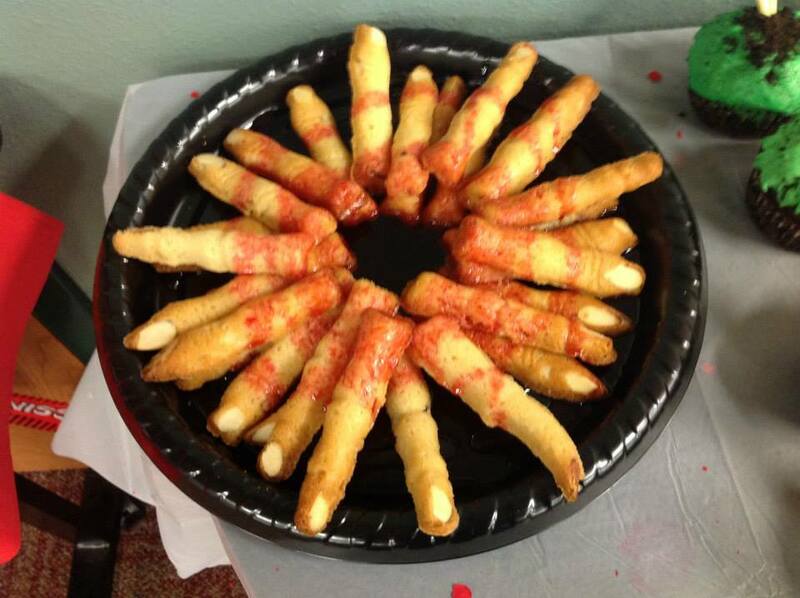 So I wanted to do something fun and exciting for our teen Halloween craft this year. 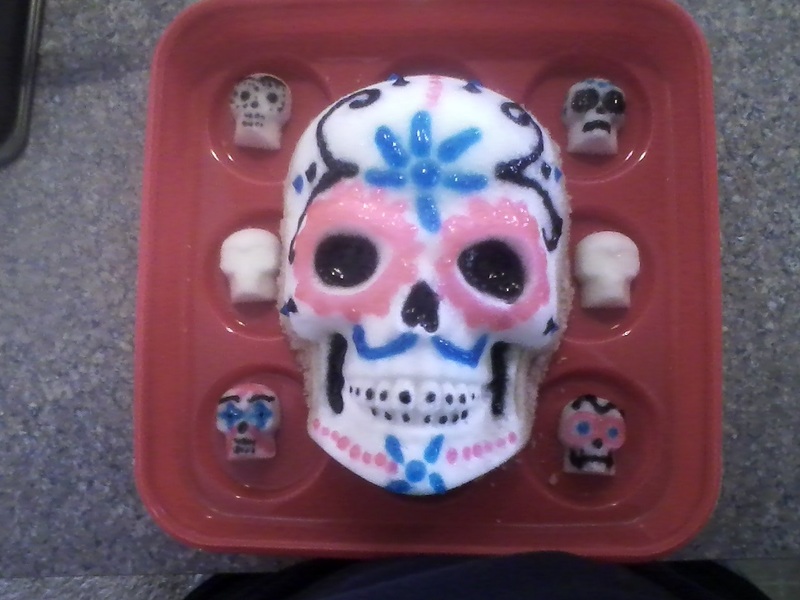 What better way to “bring out your dead” than by making Mexican Sugar Skulls? Traditionally, calaveras are made with sugar, water, and meringue powder (or egg whites). These skulls are so hard that, if you tried to bite into them, you’d end up chipping a tooth. 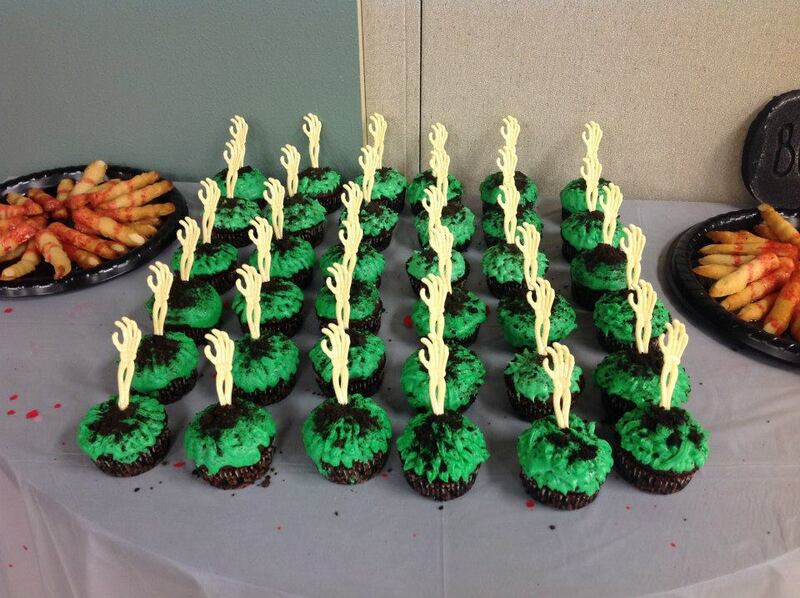 Fortunately, I found a lovely tutorial on how to make an edible version from Dollar Store Crafts. If you want step-by-step directions, make sure to check it out. This site is an absolute budget life saver when it comes to crafts and one of my new favorite haunts. Basically, you just mix the two teaspoons of water into the sugar until it’s the consistency of sand. Then you press the sugar firmly into your mold, place a cookie sheet on the back, and flip them. 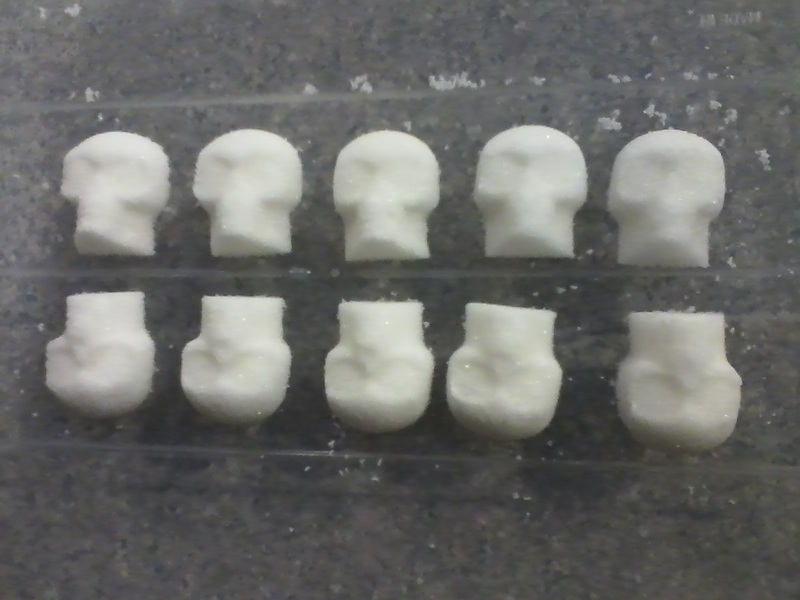 When you pull the mold away, you should have lovely little sugar skulls waiting for you! I also had a giant skull mold that I borrowed from a co-worker. I ended up using a combination of white and raw sugar while making it (since it took five and half whopping cups). 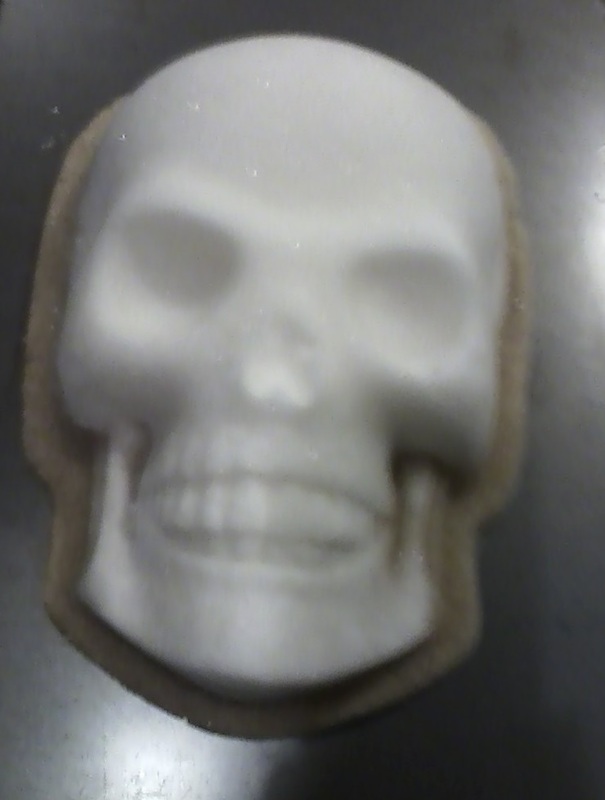 The raw sugar gives the bottom half of the larger skull a nice golden color. However, the white sugar definitely hardens better, so I recommend only using it. After letting my skulls dry overnight, I got to decorate! 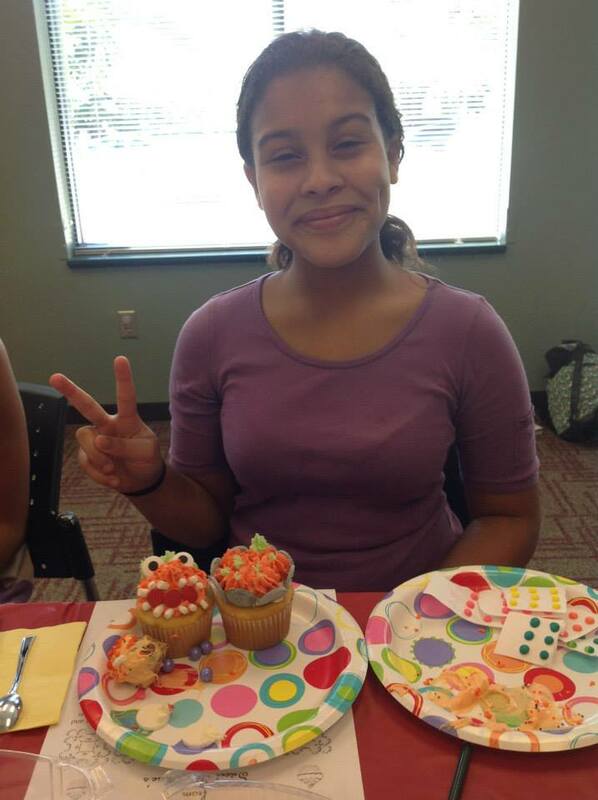 It was a lot of fun and I really think the teens are going to enjoy it. I’ll be sure to post the pictures after we host the craft. 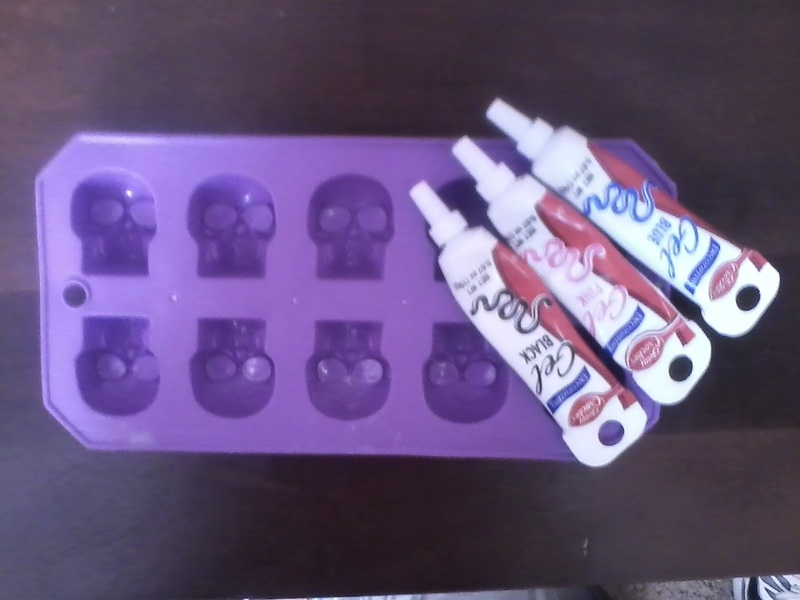 Happy skull making! There’s a universal rule in programming for teens: if you feed them, they will come. 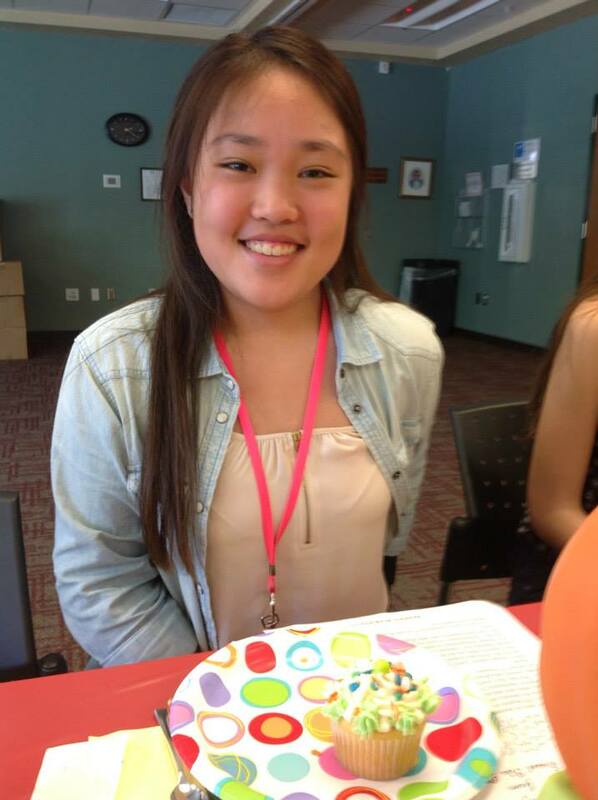 So what better way to lure teens to the library then with a program that’s all about food? 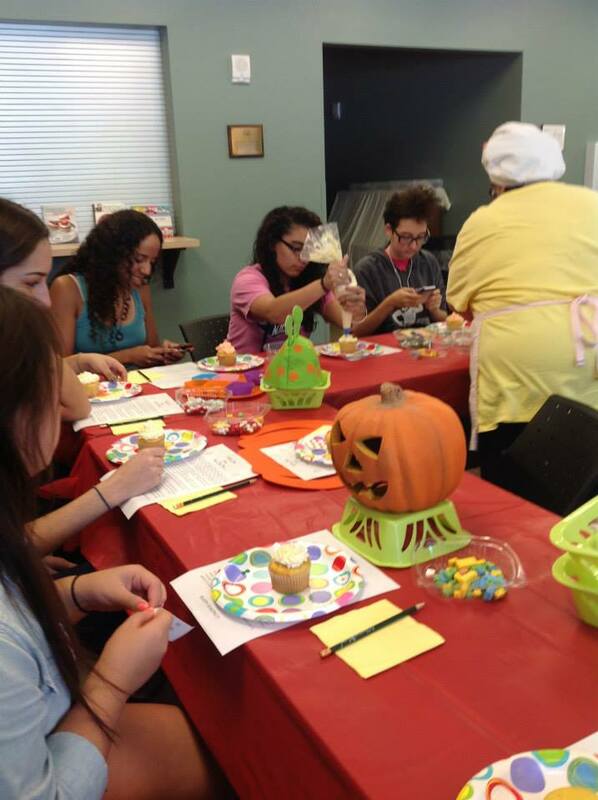 Thanks to the generosity of the Friends of the Library, I was able to invite our local cupcake bakery to host a cupcake and cake pop decorating class. It really does pay to reach out to your local “Mom and Pop” shops for programming. Not only are you supporting local business when you do but, in my experience, you tend to receive higher quality programming. 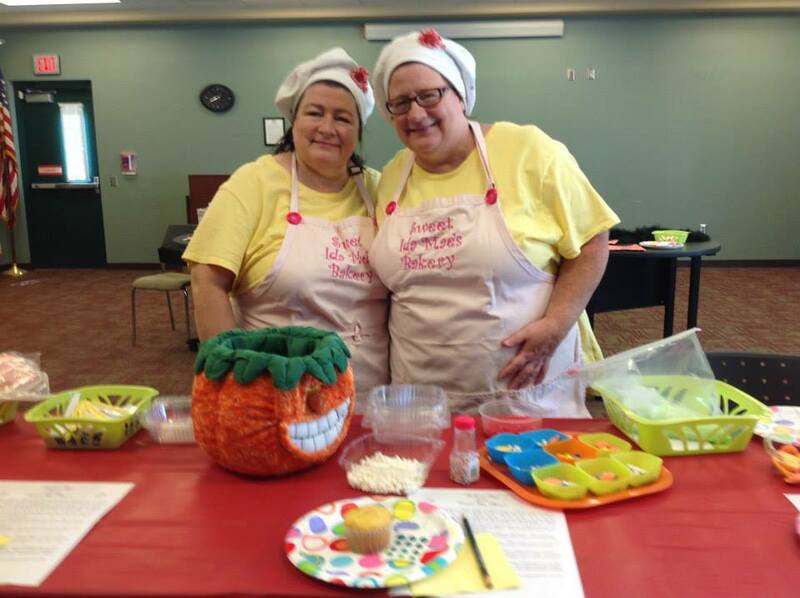 These wonderful ladies brought all the supplies: the food, the frosting, the lesson. All I had to do was set up the tables. It was wonderfully easy and fun. In total, we had thirteen teenage girls show up for our Sunday afternoon class. 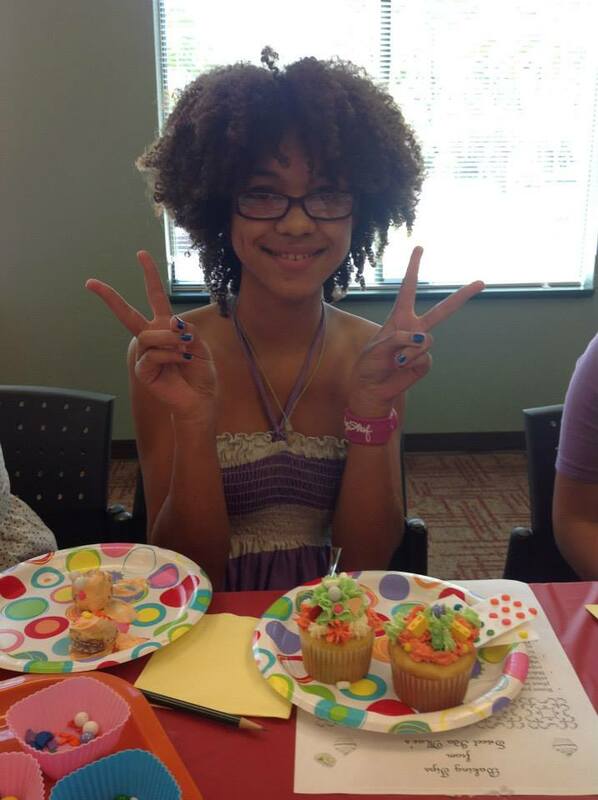 Giggles and smiles ran rampant as we all ate FAR too many cupcakes. We’re inviting the ladies of Sweet Ida Mae’s back again in December. We can’t wait to decorate holiday treats with them! Here’s to a sweet program.